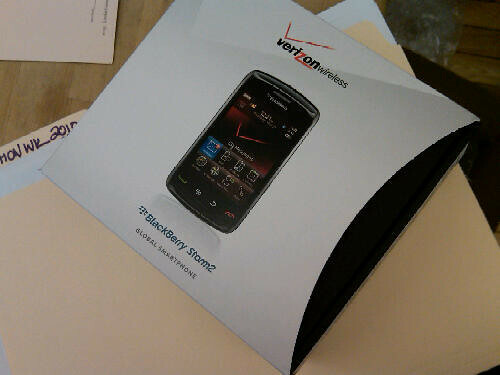 Thanks Harrison and Shriftman for sending the BlackBerrys! Thanks Harrison and Shriftman for the Blackberrys!, originally uploaded by Style File Group. YAY we (team Style File Media) love our new Storm2 as well! I've never used a touch screen phone so I might have Emma Goldstein (back to intern with us for FW10) test drive it! PS, we wanted to give a special shout out to the ladies at Harrison and Shriftman for messengering over the BlackBerrys so we didn't have to send out a poor intern (Natalie or Emma) in the cold to go retrive them! Thank you! Retail Sector: On Road to Recovery?